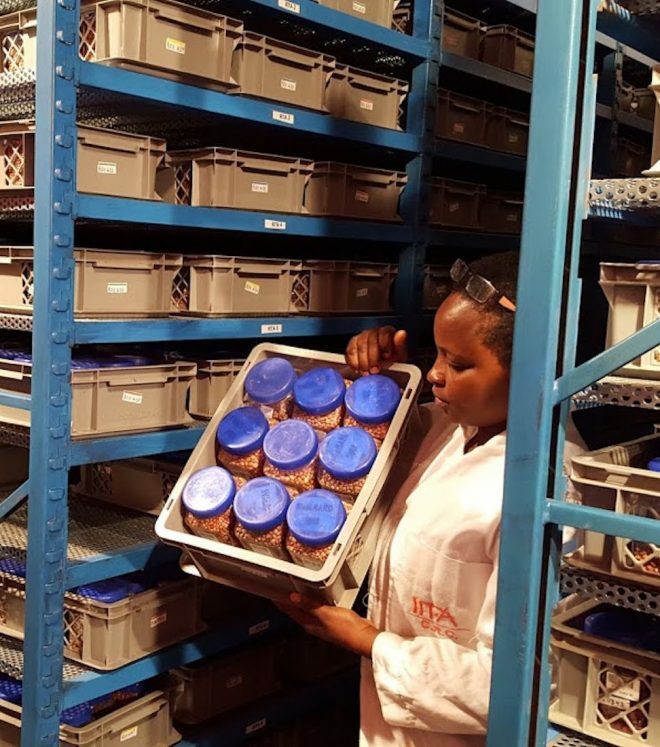 IITA’s genebank is responsible for a range of crops important for food security in Africa. These include seed crops such as Bambara groundnut, cowpea, maize, soybean, African yam bean and other legume species and clonal crops such as banana, cassava and yam, which require very different methods of conservation. Crops that produce orthodox seeds are maintained in medium-term storage (5°C and 30–35% relative humidity) or long-term storage (–20°C). Clonal crops are maintained in field genebanks and in vitro. The IITA genebank collaborates with CGIAR breeders of maize, banana, grain legumes and roots and tubers. The germplasm health unit is well established. 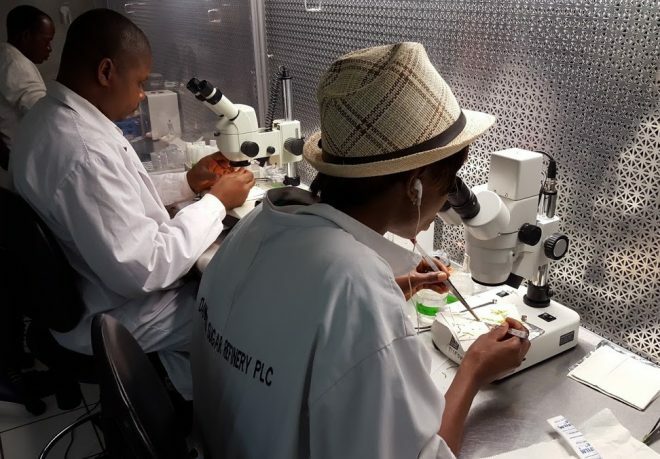 Work is taking place to establish a high-throughput procedure for cleaning yam accessions of pests and diseases. Key staff: Badara Gueye, In vitro specialist; Tchamba Marimagne, Database manager. Go to news and activities arrow-icon Created with Sketch. arrow-icon Created with Sketch.